We are proud to have raised a magnificent £500 for the RAF Benevolent fund. Achieving this through donating £1 for every Net Promoter Score (NPS) survey completed by our customers. The fund is the leading welfare charity, providing financial, practical and emotional support to serving and former members of the RAF and we wanted to do as much as we could to support the fantastic work they do. We want to thank all of our customers who completed the survey and helped contribute to raising the final total. The surveys help provide us with invaluable feedback regarding our service. The Billi pledge is that every customer should receive the ‘Billi Experience’. This means that they come away from their interaction with us feeling happy, satisfied and loyal to our brand. A Net Promoter Score is a number between -100 and 100 with higher numbers suggesting that a business is thriving, has happy customers, and is able to keep them loyal with good service. Although research suggests it is very difficult to gain a score of over 60. Billi currently has a fantastic NPS score of 66 and we want to achieve even higher scores in the future. 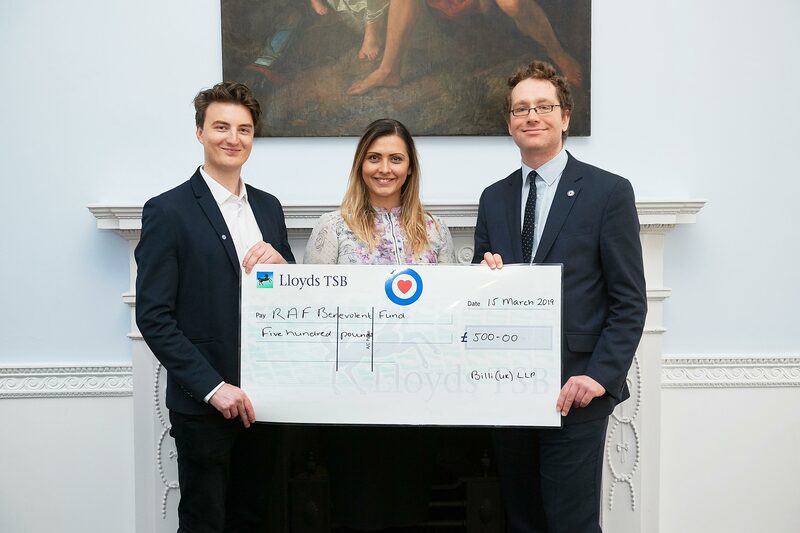 The photo shows Daniel Jones, Business Development Manager for the RAF Benevolent Fund being presented with the cheque by Billi’s Simona Whyte and Dario Palumbo on 15th March 2019.